Everyone's feeling is that Sundays should last long than all other days. 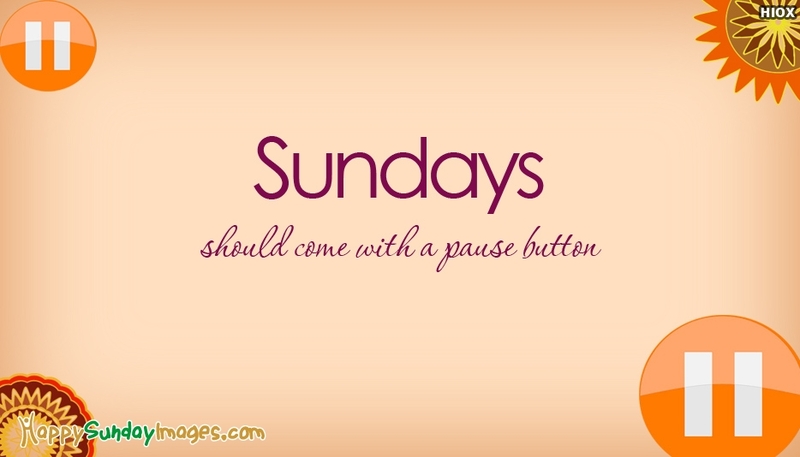 It is best explained here in this greeting card with a message "Sundays Should Come With A Pause Button". Download and share this ecard on social networks such as Facebook, Whatsapp, Twitter etc., to reach all your friends and beloved ones. Have a calm and relaxed Sunday.